1. Download the files onto a desk top computer. 2. Connect your devise to your computer and sync. 3. You can now add these files to your ’movies’ folder on the ipad/iphone enabling them to play. We are looking for a way to download directly to the iPad and iPhone. Download all 4 stories and save money! 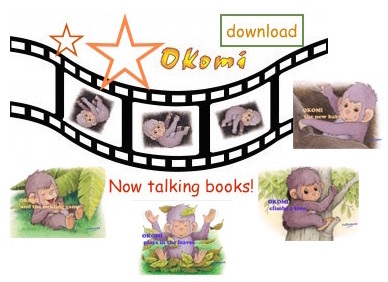 The pictures in the book Okomi and The Tickling Game are brought to life by narration, chimp and jumgle sounds. A cross between simple animation and a talking book. 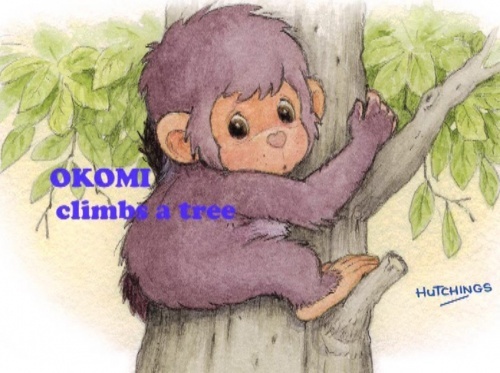 The pictures in the book Okomi Climbs a Tree are brought to life by narration, chimp and jumgle sounds. A cross between simple animation and a talking book. 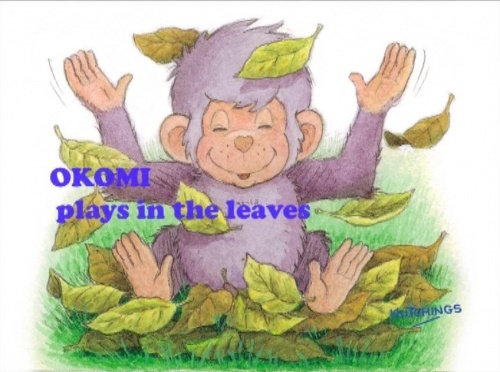 The pictures in the book Okomi Plays in the Leaves are brought to life by narration, chimp and jumgle sounds. A cross between simple animation and a talking book.